Marion Arthur Kuszyk joined the Los Angeles Philharmonic as associate principal oboe at the Hollywood Bowl in August 1995. Originally from the metropolitan Washington, D.C. area, Kuszyk received her Bachelor of Music degree from Oberlin Conservatory and her Master of Music degree from the Eastman School of Music. 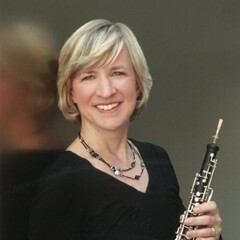 Prior to joining the Philharmonic, Kuszyk was a member of the Kansas City Symphony for five years (associate principal oboe and acting principal oboe) and taught oboe at the University of Missouri in Kansas City. She has made concerto appearances with the Los Angeles Philharmonic, the National Symphony, the Kansas City Camerata, and the Kansas City Chamber Orchestra. In addition, she has performed as guest principal oboe with the Boston Symphony and with the Atlanta Symphony. She has also performed with the Virginia Symphony, the Charleston Symphony, the Tanglewood Fellowship Orchestra, and the Summerfest Chamber Music series in Kansas City. From 1999-2007, she was a member of the Grant Teton Music Festival Orchestra, occupying the principal oboe chair beginning in 2000. Kuszyk is an active performer in the LA Phil’s Chamber Music Society series and the Green Umbrella Series. She participated in the North American premiere of Esa-Pekka Salonen’s quintet piece Memoria.